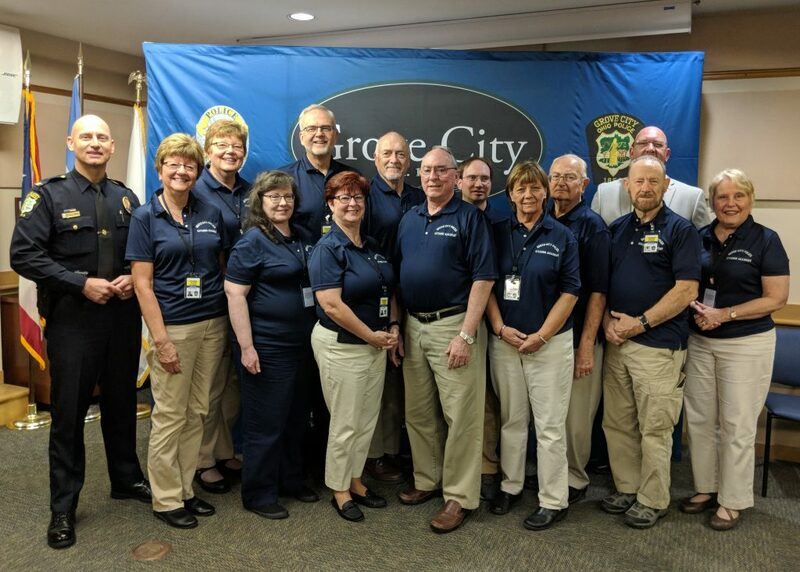 The Grove City Citizens Police Academy (CPA) is an extension of the Grove City Division of Police Community Partnership. The program provides insight into the mission, goals, objectives and operations of the Division of Police. The CPA is designed for residents of the City of Grove City and Jackson Township. Participants are encouraged to share their ideas and experiences with police instructors and class members to improve community and police partnerships. The purpose of the Grove City Division of Police CPA is to provide educational information regarding the Division of Police, its mission and activities. Understanding, through training, can dispel misconceptions about policing. In turn, the Division of Police will become more aware of community concerns. The CPA opens lines of communication regarding services police provide to the residents of the City of Grove City and Jackson Township. Enrollment in the CPA is not designed to further employment opportunities within the criminal justice profession. The topics covered are not intended to train the student as a police officer or serve as an extension for any criminal justice programs. The 12th session of the CPA will meet from 6 to 9 p.m. Tuesdays and Thursdays at the Grove City Safety Complex, 3360 Park St. Classes begin Tuesday, Sept. 17. There is no cost and this class must have a minimum of 12 students. Any student who misses more than two sessions will not graduate. Applicants must be a City of Grove City or Jackson Township resident, or anyone who pays Grove City municipal income tax, 18 years of age or older. The applicant must commit to meeting twice a week for the five-week academy. Applications are accepted throughout the year, to be considered for the next class download and complete the CPA application or pick up an application at the Grove City Safety Complex, 3360 Park St.
A criminal record and driving status check will be processed on each applicant. The Grove City Division of Police reserves the right to deny acceptance to any applicant. For Citizens Police Academy enrollment information, email the Grove City Division of Police Community Services Bureau or call 614-277-1742.